Apache Black Gila, Apache Strata and Apache Red sharpening hones. Welcome to NaturalHones.com, the only home of Apache Black Gila, Apache Strata and Apache Red. All are premium American natural straight razor (and fine knife) finishing hones. 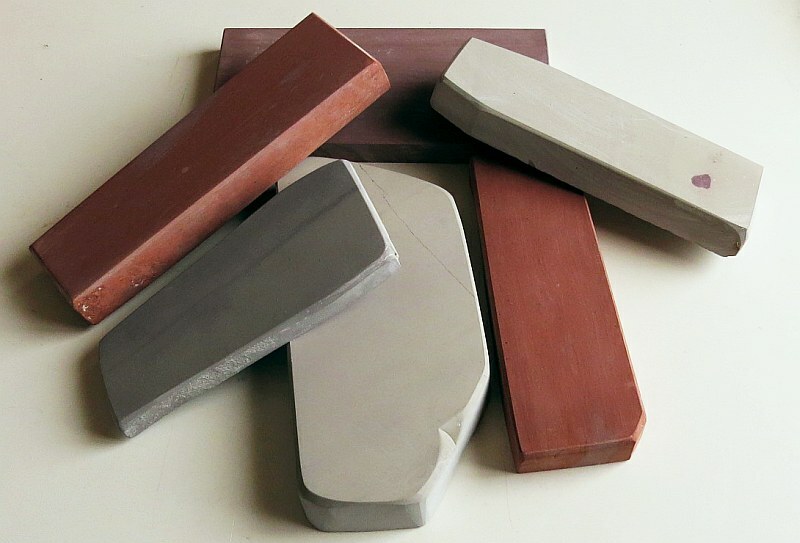 These hones prove that some of the best finishing stones don’t always come from Europe and Japan, do in fact come from the United States as well! All hones are created by one man using found stones, a cutting machine, diamond flat lap machine and pure elbow grease. Over the short period of time these stones have been floating around the honing scene, they have garnered much acclaim and a lot of committed fans. Learn why these are so highly sought after with the links above.